Paint Color Scheme Help – Which Colors Go with What! Need help putting colors together? 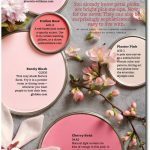 This handy chart can hep you pair up paints colors in a harmonious way! 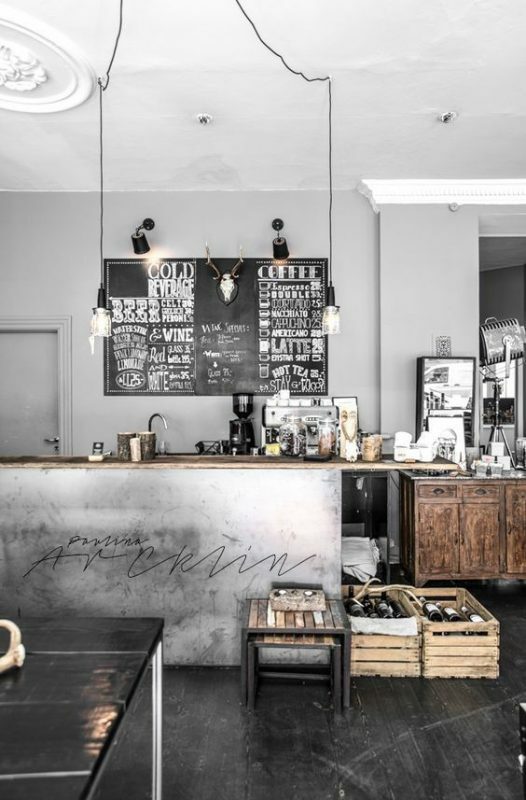 For example; to make a medium “storm gray” look designer, you can combine it with black, white or steel gray, combining this same hue with a nutmeg/taupy neutral or a pink will give you a romantic color scheme! 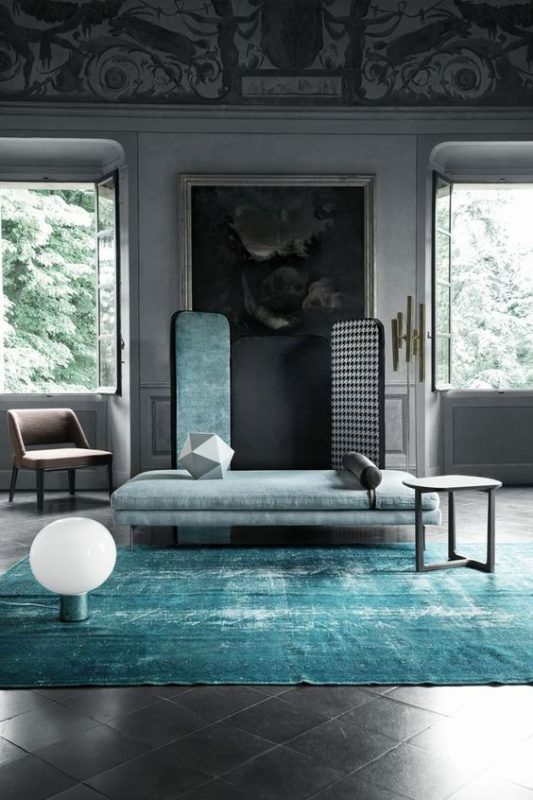 If you want to paint your walls Turquoise, you can create a trendy and modern color scheme by adding accents in a light gray, lighter turquoise shade or a yellowish green, while pairing it with pink or orange will give a more juvenile/acidic effect. 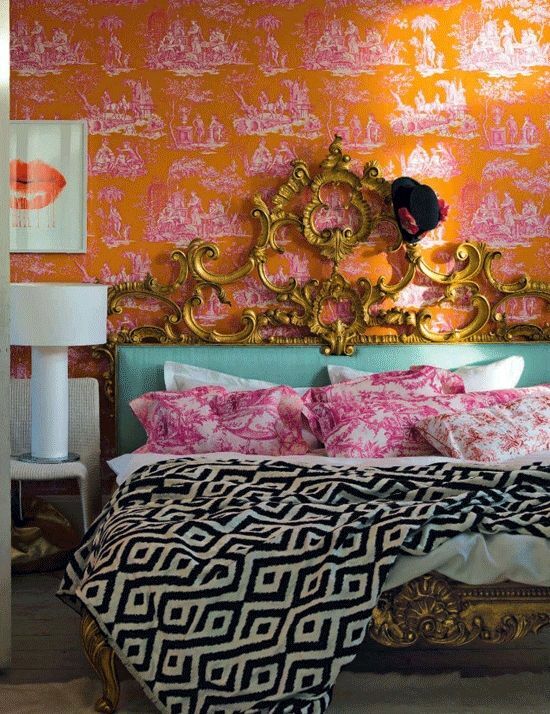 Eclectic bedroom in an acidic color scheme with orange and pink toile wallpaper, ornate gold bed frame and bedding orange, pink and black and white prints. 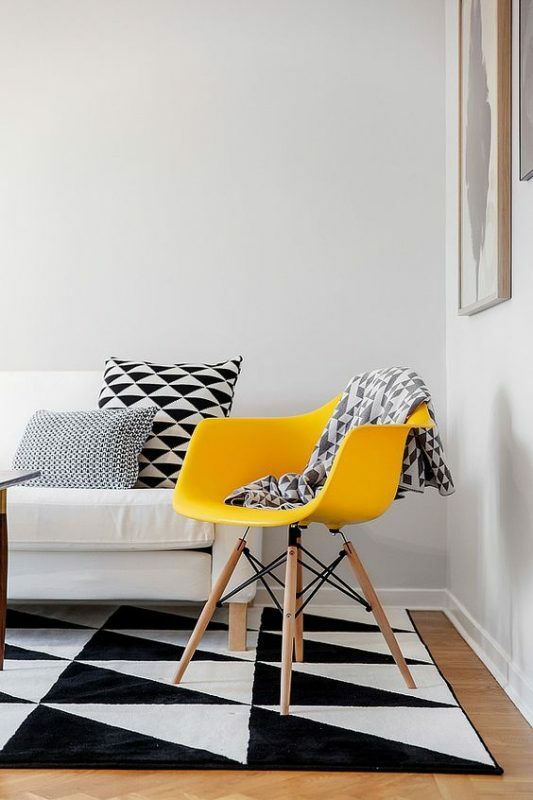 A bold yellow paired with black and white creates a bold modern feeling interior with character. 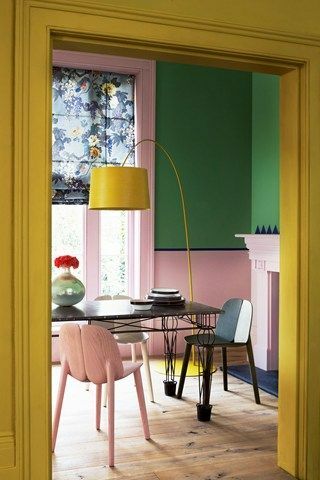 Where as combining yellow with greens and pinks creates more of a pop look. This entry was posted on Thursday, October 13th, 2016 at 7:54 am	and is filed under Color Palettes, Decorating. You can follow any comments to this entry through the RSS 2.0 feed. You can leave a comment, or trackback.